It's time to share another rebus puzzle swap with you. This month the theme is Baby Animal Names. 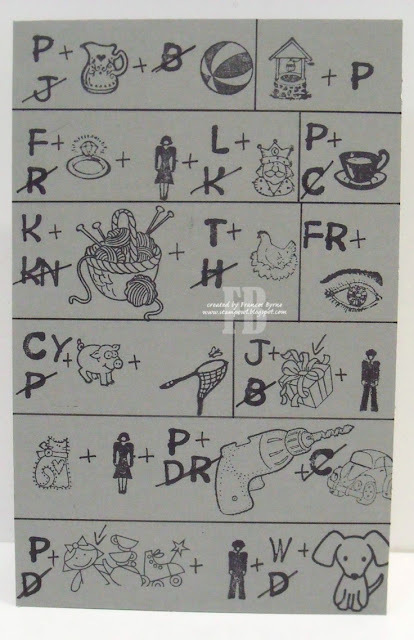 If you would like to solve my rebus puzzle, why not post a comment on my blog post with your answers. I will let you know what the correct answers are next time I post a rebus card here. How did you go solving my March Rebus which was Names starting with the letter "J" Here are the correct answers so you can check how you did. You can find all my past Rebus Cards here.